Enid Blyton's much loved The Faraway Tree stories read by Kate Winslet are now available as unabridged audio downloads for the first time. 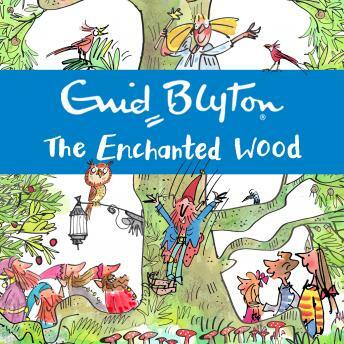 The Enchanted Wood is the first wonderful story in the Faraway Tree series by the world's best-loved children's author, Enid Blyton. When Joe, Beth and Frannie move to a new home, they discover an Enchanted Wood just outside their doorstep. Soon they find the Faraway Tree, which is the beginning of many magical adventures...Join them and their new friends Silky the fairy, Saucepan Man and Moonface, as they discover which new land awaits them at the top of the Faraway Tree.